Advice to a mother on sending her daughter to college.straight out of an Eating Disorders Programme. I have thought long and hard about this. You must understand that I am a parent advocate and have no clinical training and what I am about to say is peer-to-peer advice, based on observations of other families facing this dilemma. I understand you wanting your child to resume a normal life and I understand your hopes and dreams for her. I know you have planned and saved and bargained and that you both probably find it too difficult to visualise a life other than the one you have dreamed of and talked about. I understand that you want to leave the eating disorder behind, that you are sick of it, you hate it and you want to stop its vile destructive behaviour cutting a swathe through the future you want for your child. I think that you think that by giving her a new start, she may choose to leave her eating disorder behind, shut away in a keepsake box, tucked hidden and forgotten under her bed or at the back of your wardrobe. I understand that you are different, that your family is not my family, that your experiences are different from mine. I understand that your child is older, cleverer, more sensible, stronger, wiser than mine. I understand that you know your child and you believe in her, have faith in her and know that she can do this. Or you hope she can. I also understand that you have been promising that she can go to college at the end of treatment. It has been the carrot you have been dangling, the thing you can talk together about, plan, discuss and feel good about. The spider web strand of commonality that still holds you together. I know you believe that, without the promise of going to college, your daughter would not have made such strides, got so much better, wanted to be well. I understand that you believe you have to stand by this promise, keep your side of the bargain, believe that she wants this more than she wants her eating disorder. You have to be purer than the driven snow in the face of the disordered, contorted logic, of the wheedling, pleading, negotiating. You feel you need to have the moral highground in the face of the eating disorder. You have to the model of perfection, the one that keeps the promises, the one that does as they say they will do, to set her an example that you hope she will follow. And all I hear, as I hear you say this, is that I can hear the eating disorder making deals with your daughter, telling her she can eat and put on weight because, once she is away, she can lose it all again and there is nothing anyone can do to stop it. Because the eating disorder is always in your daughter's head. It doesn't have to wait for visiting hours, or for her to be awake, or finished eating or in a good mood. It can talk to her whenever it likes, cajoling and scheming, twisting the truth, turning white into black. Sadly, coming home from hospital does not mean the eating disorder is "cured" or that your daughter has the skill set to deal with anxiety, depression or any other difficulties that may arise,without defaulting to restriction. Continuing to eat enough and letting go of the eating disorder takes a long time, a lot of hard work and a tremendous amount of love and patience from clinicians and carers. There is no quick fix to this part. If it were me, I would not even be thinking about sending my daughter away to college for at least another year. She will need support, help and love for a long while after coming out of the treatment centre. Recovery from an eating disorder is all about learning a new way of life and dealing with stress and anxiety in an entirely different way. This cannot be done in 3 months in a treatment centre or three days at home. It takes months and months and years and years. It takes support and kindness and calm firmness. It takes love and forgiveness. It takes catching them when they fall and setting them back on their feet, with a plaster on their knees until the cut is healed. It takes the tincture of time. There is a thread on the Around the Dinner Table forum which might give you some idea of the length of time it takes for someone to recover from anorexia here. If you would care to join us on the forum, I suspect the majority of the advice you would be getting, especially from those with children of a similar age who have faced the "going away to college" dilemma would be much the same. I would love you to join and post so you can have advice from other parents who have faced the same situation and see where, when, what and how they have dealt with it. You should also ask yourself this. Are you sending her away for yourself, as well? 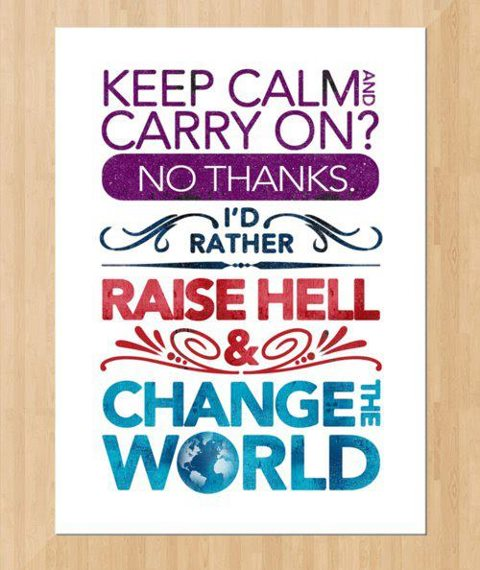 Are you fed up with it, angry at it, want to be done with it? Do you yearn for some peace and some space and just one minute of the day that is not about food or exercise or anxiety or distress? Do you really think that you are doing this for her good or is there just a tiny bit of self-care involved in there too? Do you want her to have the opportunities you never had? Do you want her to be the person you couldn't? Haven't you worked and saved and denied yourself to give your child that head-start that never came your way? And isn't there a tiny bit of you that hopes that the good, loving daughter you know is in there would never betray you, disrespect you or let you down by not eating? Are you hoping that the shock of not having you there will force her into making the right choices? Do you hope that she will just see that this whole, new, gloriously exciting world of college and forget all this nonsense about not eating? That she will fall headlong in love with life and boys and study? That a little bit of you wants to live vicariously through her and you want that all to be joy? It is very difficult to let your child down and I don't know about you, but for me, letting go of my hopes and dreams for my daughter and her glorious, sunlit, trouble-free future (including Prince Harry on a white charger), was one of the toughest things I had to do. It is very much your decision and I am hoping that you will get some more support from the forum or other parents of young adults who have been through similar things. Please do not feel you can't return for further support and advice or that there will be any kind of "I told you so" moments. It is a horrible illness and a lot of unnecessarily hard decisions have to be made and it is very lonely and isolating. I remember when I first joined the forum in November 2009, I thought that my family was different and we would be done with the whole thing in 6 months but then, hey, I have always been over-optimistic. I got a complaint that I haven't been blogging much so Mrs M, here's a new blog with lots of lovely pictures from the House of Mutt. I read my friend, Miranda's, most recent blog with great distress. I only hope that this poor young woman can get into the Bethlem (Bedlam) Hospital as soon as possible. In the meantime, this sort of treatment of mentally fragile, vulnerable patients should be highlighted, reviewed and stopped. If I were in her parents' position, I would be asking the Quality Care Commission for an urgent review and fighting tooth and nail to get her to a place of safety. I would like to thank Miranda for not only drawing this to my attention, but for her tireless work for all mentally ill patients and for her candour and honesty. The 1 in 20 Project. Carrie Arnold, of the excellent ed bites is starting a campaign to raise the profile of just how common eating disorders are. Each year, roughly 4 million babies are born in America. Approximately 500,000 of these babies will develop an eating disorder. Every year has 525,600 minutes. 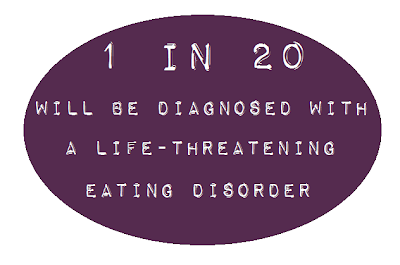 That means that every 1.05 minutes, a child will be diagnosed with an eating disorder. Every minute, a parent will be told "Your child has an eating disorder." So next time someone tells you that an eating disorder is very rare, tell them they are wrong. Eating disorders are not rare. I told a very successful friend to spend his bonus on buying a farm in 2007. Land prices in East Anglia were just beginning to rise to around £3,000 an acre for arable land mark. To his lasting regret, he ignored my advice, as he felt he had "missed the market". I know he still kicks himself to this day, since land values have continued to rise in this area, with an average of £6,500 per acre and, in some places, going for over £8,000 per acre. So what will I tell him this year, 5 years on? I would still recommend investing in farmland. Farming is anti cyclical. When everyone else is buying new cars and going on foreign holidays, food is cheap. Therefore farming is not hugely profitable. When food prices rise, so do farming profits and we tend to splash out on new machinery and re-roof the cowshed. If this recession is going to continue, land prices will continue to rise. The minute the "boom" starts up again, land prices freeze until the next "bust". What would I recommend getting out of? This is far more interesting from my point of view. If I were in charge of a bit investment portfolio, I would begin to look at two areas that are beginning to lose their credibility and hence will, over the next 10 years, begin to lose their profitability. The first is the diet industry. When Jo Swinson et al were researching the Body Image Report, one of the most contentious issues was the efficacy of a "diet". There has been a call for NICE to investigate the diet industry and for the diet industry to produce an evidence base to prove that "diets work" as opposed to the usual publicity guff. (Please note I am refusing to put a link to the "I lost 40lbs and Prince William fell in love with me" type article which passes for "proof" these days). I have noticed more and more bloggers and more and more research swinging the pendulum. The recent campaign started by Lydia Jade Turner to stop a representative of Jenny Craig talking to the Alliance of Girls Schools was a case in point. So a section to watch and maybe review before the evidence base outcome. Secondly, I would be watching that other industry that is based entirely on guilt, self-loathing and very little evidence base - the gym. Having read this article (thanks to the Fairy Blogmother), I wonder how soon it will be before people begin to see a correlation between the two industries above. Will people realise that it is just money for old rope? Walking around an acre of farmland would probably turn out to be a cheaper alternative to gym membership over a 10 year period and you never know, you might even make a profit at the end of it. I went looking for a "frazzled" picture to describe "conference organising". How cool is this? Step 1: The Frazzled receptor manifested by the transverse nerve recognizes Netrin, and causes axonal elongation. Step 2: During that time, Frazzled captures Netrin and reorganizes its distribution. Step 3: Next, Frazzled presents Netrin to another cell (dMP2), and carries out the guidance of the longitudinal axon, which is the next patterning. I got a bit of a heartstopping moment, when he opened his mouth to sing. I won't tell you how I discovered him but he ticks all the "future mother-in-law" boxes: a lovely voice, lovely to look at and an interest in cricket! We are delighted to announce a two day conference, on Friday 23rd and Saturday 24th November, in Nottingham for all families and professional teams involved in the ECHO (Expert Carers Helping Others) project, members of F.E.A.S.T. (Families Empowered and Supporting Treatment for Eating Disorders) and Maudsley Carers. The objective of the conference is to meet, learn, discuss and exchange ideas and offer support, help and advice in a warm, relaxed and friendly atmosphere. We will be having a keynote speech on Friday 23rd November by Professor Janet Treasure, Professor South London & Maudsley NHS Trust Director Eating Disorder Unit and Professor Psychiatry Guys', King's & St Thomas' Medical School, London and a member of the F.E.A.S.T. Advisory Panel. Susan Ringwood, CEO of Beat and a member of Professional Advisory Panel for F.E.A.S.T. will be talking about what carers can do and how families can help as well as the Beat Carers Workshop project. Gill Todd, retired Head Clinical Nurse of Eating Disorders Unit in the South London and Maudsley NHS Trust will be doing Carers Workshops for both professionals and families. We will also be having a presentation and discussion with Dr Maria Finnis (John Radcliffe) and Dr Rachel Polonsky on the power of the internet and parents. We look forward to seeing you on 23rd and 24th November. Friday video - Standing up. I love Kathleen MacDonald, because she has one of the coolest dogs on the planet. And she is an amazing advocate. Firstly congratulations to our niece, Amelia Bevan, who cleaned up yesterday in the side saddle events. Isn't she lovely? Yesterday was the first day of the Suffolk Show, an annual pilgrimage. HWISO left early with his brother and I followed on later, leading the convoy, with two teenagers and a great family friend, who shall henceforth be known as Mr Social. The plan was to get Mr Social, who doesn't normally do this stuff without his fabulous beautiful, organised, lawyer wife into the Showground and into the CLA tent for a meeting at 11 am. Timing was pretty critical. So we stand at an impasse. In three years time, both children will have left home and moved on to university or a job or whatever else lies in their future. I live permanently with the sword of cancer over my head. Don't get me wrong, I have had the all clear but every ache or twinge or itchy mole - the first thought is cancer and the corresponding torture of treatment. I wrote to the Fairy Blogmother and she wrote back some wise words to the effect that I was way ahead in the karma stakes, if I wanted to give up now but that it was not a decision that should be taken lightly and I should take time to think about it. She knows me and my natural impatience well. I have also received a personal email from Jo Swinson about the Body Image project, wanting me to get involved. This could be a huge opportunity for FEAST UK to really talk to a lot of people involved in all aspects of this project and to lobby for eating disorder patients and their families, among the corridors of power. My specific areas of interest are the use of BMI as a measure of health/diagnostic tool and the evidence base for the diet industry (Rocking article from Sue Thomason in the HuffPo) and I do want to make sure that eating disorders are not a short one page towards the back of this issue. Who knows? Maybe we could change the world. Have a happy Jubilee weekend, people.